Payday is 3 days away and you are checking the balance in your banking account. $15.75 reads the balance. “How am I going to make it until payday?” you ask yourself. You need a few groceries and gas money. And you just remembered that a $10 subscription fee is going to be debited from your account tomorrow. What do you do? 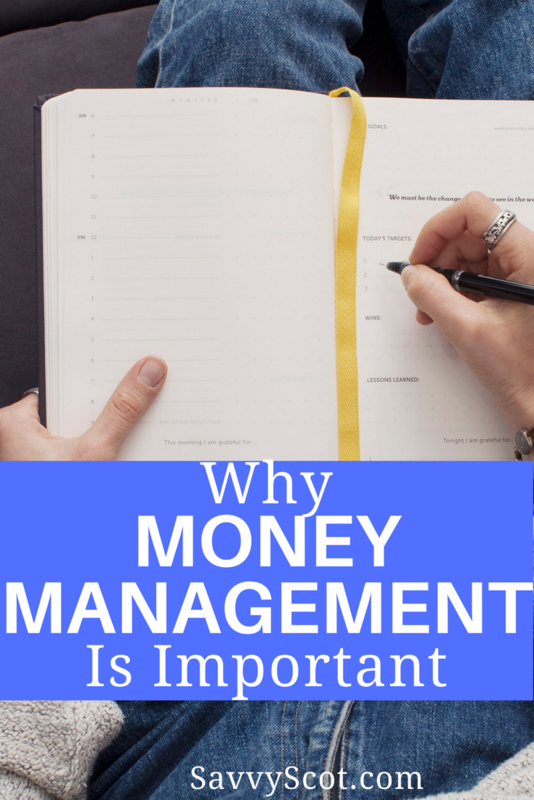 Before you can manage your money, you need to know why money management is important. Money management includes budgeting, saving, and planning ahead. The first step to money management would be to have a budget. Creating a budget is as simple as knowing what your income and expenses are on a monthly basis and keeping track of them. We tend to underestimate how much we have spent unless we are keeping track of it. With a budget, you can keep track of every dollar spent and designate a place for each dollar coming in. Without a plan for your money, you will find it disappearing quickly. With a budget, you will know exactly how much spare income you have. Budgeting also helps with surprises. That $10 subscription fee you forgot? It would not have happened if it had been written into the budget. Whether you chose to track your budget using an online service, software on your computer, or just a notebook and pen, it is important that you take this first step. Gaining control over your finances gives you ultimate control over your life. Knowing where your money is going means you can quit sending it to places that aren’t benefitting you. This brings us to the second important step: saving. So many people are living paycheck to paycheck, thinking they have nothing left over for savings. One part of saving is reducing monthly costs. Knowing how much you spend on a service each month (car insurance, cable TV, internet, etc) is important. Comparison shopping for these services will help you get the most bang for your buck. Another area we tend to lose money is late fees. Even if you are only spending $5 per month on late fees, that adds up to $60 a year. By budgeting these payments, you can ensure they are paid in a timely manner, doing away with late fees. Keep in mind, you will never save up for that vacation if you keeping throwing money away when you don’t have to. Begin your savings with the amount you saved from eliminating late fees and overpaying for monthly services. Then, work more savings into your budget by eliminating or reducing other expenses. Just saving money isn’t good enough though. You have to know why you are saving money. Having a plan helps with that. What do you want your money to do for you? Are you saving for a down payment on a house? Or are you just saving for a vacation? Planning ahead helps keep your goals realistic. Can you really afford that vacation in 6 months if you are only saving $100 per month? Probably not. Planning ahead means looking at your budget and savings now, to figure out what you need to adjust to get to where you want to go. Planning ahead also means understanding that things happen and you can be ready for them. We don’t want to think about the possibility of losing our income, but we may. Knowing this and planning for it can give you financial peace if losing your job became a reality. If you don’t have a plan for your money, then you will find yourself wondering where your money went. With a budget, savings, and a plan for the future you will feel more confident in your money making decisions. Following these steps will give you financial freedom and a sense of security knowing that your finances are in order. Thanks for these tips! Financial management is easier said than done, so knowing the reasons why you are doing it will help you move forward to success.